It is a map overlay. Makes finding ore ~ far less of a challenge. 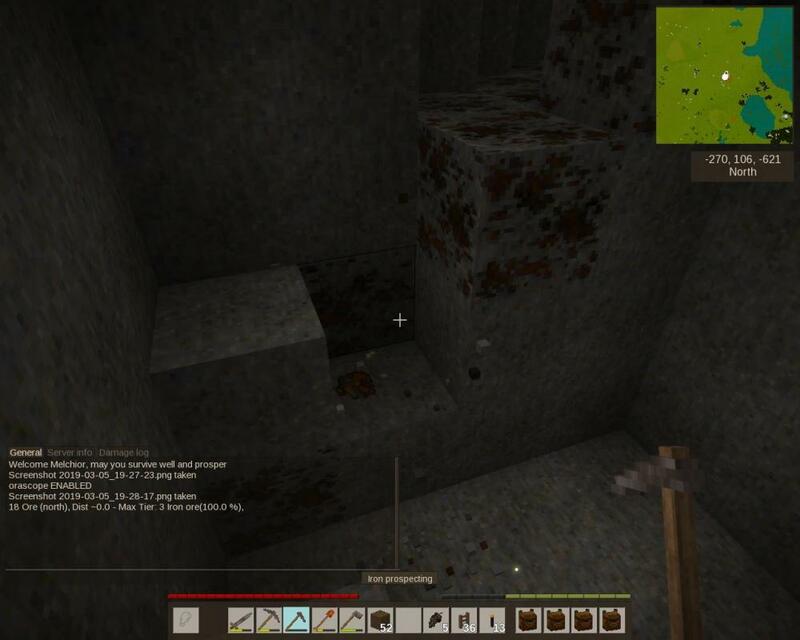 Use Prospecting pickaxe on rock face direction of the area you want checked; it will let you know if there is any ore within a short distance. You may also need to set a permission, the mod will supply the command text needed. 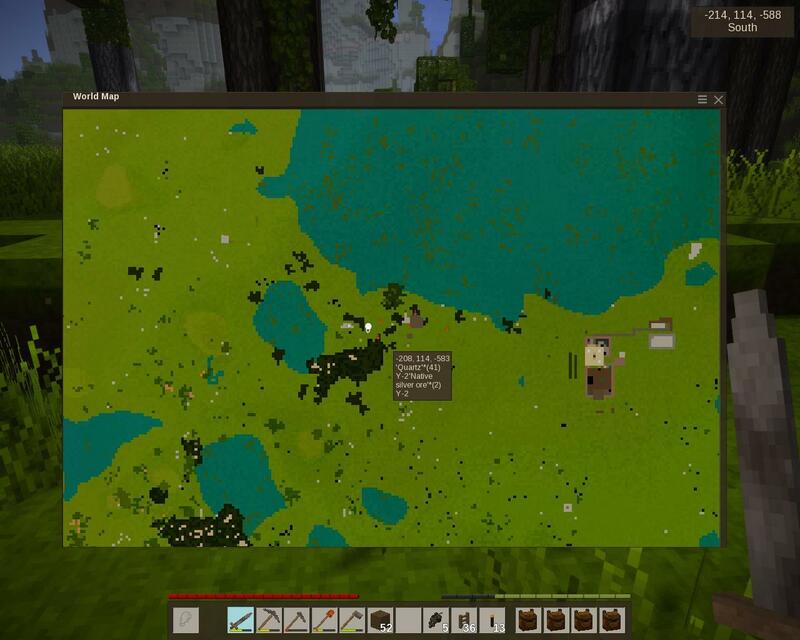 Prospecting Pickaxe will actually report on ORE PRESENCE. Both quantity and tier listed. Adjusted scan size (Now 5*5 Projected +5 deep; thats 150 Blocks worth). Actual DISTANCE to nearest Ore, and DIRECTION reported. Fixed inaccuracy issue. Should be VERY precise now. Almost, yep. So, can you explain it more ? Was thinking of updating to add a "Ore Finder"; replacing the current function of the prospecting pick with a short range; 'Arrow' that shows visually the nearest deposit of any ore. Anyone this this is a good idea? 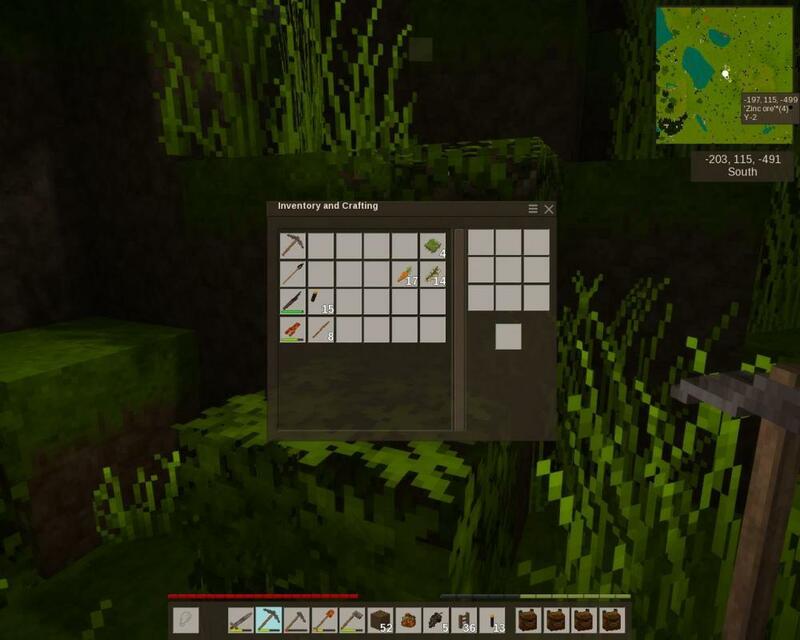 The Prospecting Pickaxe will work; Differently... it will be MUCH more helpful; it may even draw a obvious line to the nearest ore deposit (if any). The actual shape/size of the search area may be kinda (unintentionally small) - it may be increased in a later version. It is a straight projection from the face of the rock mined NOT a 'bubble' like the Orascope command was. -- Mine the face TOWARDS the area you are interested in. 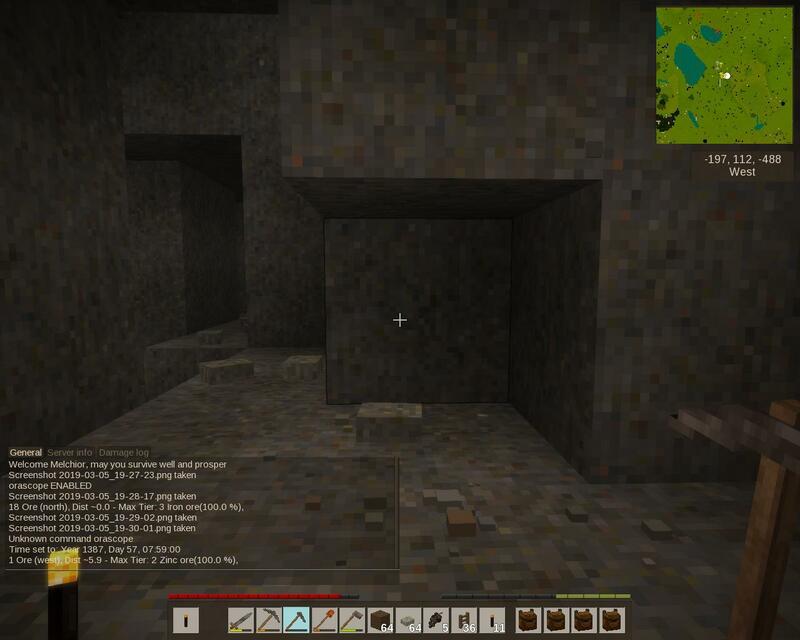 a simpler average for ~5 and for >= 1 ,- the actual location of the single block of ore. The Y-Axis values are the raw block position; not quite the same as the relative coordinates provided my map/tooltips/HUD (no offsets applied either). These are the ones shown in the 'stats' command, FYI.